Deep Jewels showcased its 22nd all-female fight card tonight at Shinjuku FACE in Tokyo, Japan. Deep Jewels 22 was headlined by a Deep Jewels Atomweight Championship bout between rivals Mina Kurobe and Tomo Maesawa, who faced off for a third time in tonight’s main event. In the featherweight co-feature, popular star “King” Reina Miura clashed with Germany’s Judith Ruis. Satomi “Sarami” Takano took on Yuko Saito in an atomweight contender’s bout, and Mika “Future Princess” Nagano battled Tanja Hoffmann. 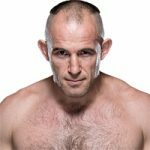 MMARising.com has live play-by-play for the card. 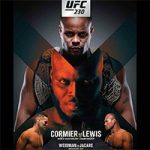 UFC Heavyweight Champion Daniel “D.C.” Cormier cruised to a dominant stoppage victory on November 3rd at UFC 230 in New York City. 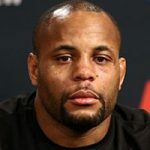 Cormier easily dispatched of challenger Derrick “The Black Beast” Lewis with a second-round rear-naked choke to remain atop the heavyweight rankings. In middleweight action at UFC 230, Ronaldo “Jacaré” Souza rallied from the brink of defeat to stop “All-American” Chris Weidman. Yair “El Pantera” Rodriguez scored a last-second knockout win over “The Korean Zombie” Chan Sung Jung in the UFC Fight Night 139 featherweight headliner. 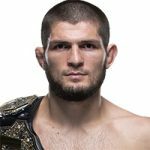 UFC Lightweight Champion Khabib “The Eagle” Nurmagomedov retained his title with a dominant submission victory on October 6th at UFC 229 in Las Vegas, Nevada. Nurmagomedov finished bitter rival “The Notorious” Conor McGregor to remain undefeated atop the 155-pound rankings. Also at UFC 229, Tony “El Cucuy” Ferguson solidified his spot as the top lightweight contender by stopping Anthony “Showtime” Pettis. In light heavyweight action at UFC Fight Night 138, Anthony “Lionheart” Smith submitted Volkan “No Time” Oezdemir and vaults up the ranks at 205. The Ultimate Fighting Championship came to T-Mobile Arena in Las Vegas, Nevada tonight for UFC 229: “Nurmagomedov vs McGregor.” The event was headlined by a UFC Lightweight Championship bout between Khabib “The Eagle” Nurmagomedov and rival “The Notorious” Conor McGregor. In tonight’s lightweight co-feature, Tony “El Cucuy” Ferguson took on fellow contender Anthony “Showtime” Pettis. Ovince “OSP” St. Preux squared off against undefeated Dominick “The Devastator” Reyes at light heavyweight. 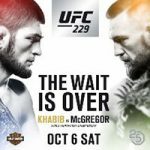 MMARising.com has live play-by-play for the UFC 229 main card. Heavyweight submission specialist Alexey “The Boa Constrictor” Oleynik earned his biggest UFC win to date on September 15th at UFC Fight Night 136. The 22-year veteran finished long-time title contender Mark “Super Samoan” Hunt in the first round and now cracks the heavyweight top ten. Also at UFC Fight Night 136, Jan Blachowicz climbed the 205-pound ranks with a submission victory. At UFC 228, champion Tyron “The Chosen One” Woodley retained his spot atop the welterweight rankings, while Jéssica “Bate Estaca” Andrade and Tatiana Suarez scored big wins at 115 pounds. Former Deep Jewels and Invicta FC champion Ayaka Hamasaki picked up her second straight victory inside the Rizin FF ring tonight at Rizin Fighting Federation 13 in Saitama, Japan. Hamasaki quickly dispatched of current Deep Jewels titleholder Mina Kurobe in a one-sided matchup at 49kg. Hamasaki displayed her dominance on the feet and on the ground before forcing Kurobe to submit to a kimura. Elsewhere at 49kg, Miyuu Yamamoto, competing for the first time since the passing of her brother, Norifumi “Kid” Yamamoto, avenged a loss by defeating Andy “The CrAsian” Nguyen. Deep Jewels showcased its 21st all-female fight card tonight at Shinjuku FACE in Tokyo, Japan. 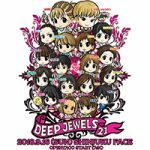 Deep Jewels 21 was headlined by an atomweight contender’s bout between Deep Jewels mainstay Tomo Maesawa and South Korean rising star Jeong Eun Park, who looked for another key win. In the flyweight co-feature, Satsuki “Komachi Karate” Kodama met Hikari Sato. 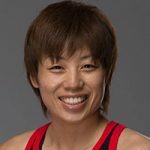 Long-time strawweight contender Mika “Future Princess” Nagano looked to get back on the winning track when she battled 17-year veteran “Jet” Izumi Noguchi. MMARising.com has live play-by-play for the card.